Relentless, Principled, Award-Winning Personal Injury Attorneys One of California's premier personal injury law firms, the Dolan Law Firm represents clients throughout the San Francisco Bay Area and Northern California from our offices in San Francisco and Oakland. We take great pride in obtaining justice for our clients and holding the powerful accountable. An Outstanding Record Of Success The 15 attorneys at the Dolan Law Firm are spearheading many of the most significant and challenging personal injury lawsuits filed in California state and federal court on behalf of injured persons and employees. Possessing a "history of winning multi-million dollar verdicts," as noted by the San Francisco Business Times, we have recovered over $250 million for our clients in settlements and jury verdicts. This remarkable track record of success includes the largest verdict ever, $61 million, for individuals subjected to racial and ethnic discrimination and harassment in violation of their civil rights. Leaders Among Trial Lawyers Our attorneys are some of the most qualified and skilled professionals in their practice areas. The successes we have achieved in the courtroom for our clients have resulted in our recognition for excellence by U.S. News, Best Lawyers, Super Lawyers, the Daily Journal, and Martindale Hubbell. Firm founder Christopher Dolan has been repeatedly recognized as one of top personal injury lawyers in the San Francisco Bay Area and across California. His numerous awards include the prestigious California Lawyer of the Year Award from California Lawyer magazine and selection as one of the Top 25 Plaintiffs Lawyers in California by the Daily Journal, the leading legal newspaper published in California. The readers of SF Weekly have named him the Best Injury Lawyer in San Francisco for the past three years. Our attorneys are directors and officers of local, California, and national attorney and legal advocacy organizations. Mr. Dolan currently serves as the President of the San Francisco Trial Lawyers Association and was previously the President of the Consumer Attorneys of California. Attentive, Personal Service Combined With The Resources Necessary To Succeed We treat our clients with kindness, compassion, and respect. We provide each client attentive, personal service and regularly communicate with our clients throughout the litigation process. Our attorneys work as a team under Mr. Dolan's supervision, drawing upon their considerable knowledge of the law and trial skills, as well as the firm's substantial financial resources and access to experts, to provide each client with superior legal representation. The Dolan Law Firm possesses the experience, skills, and resources to successfully litigate your case. Please contact us today toll free at 888-545-9519 for a free, confidential, and no-obligation review of your case. Outstanding Personal Injury Attorneys That Bring Justice To The Injured Many of our cases involve personal injury and wrongful death claims due to the fault of others. We have a long and successful track record of litigating cases on behalf of bicyclists, motorcycle riders, car drivers and passengers, and pedestrians injured or killed by other negligent drivers. We represent MUNI, BART, and other public transit riders injured while using public transportation. We have led litigation against Uber, Lyft, and other ride share corporations on behalf of passengers and pedestrians holding these companies liable for accidents and dangerous driving by their drivers. We represent individuals who suffered serious injuries from unsafe premises and property conditions (sometimes called "slip and fall" cases). We have achieved significant recoveries for individuals bitten by unsupervised dogs. We are leaders in the plaintiffs' bar in representing individuals and their families subjected to elder abuse and neglect at senior, assisted living and nursing home. We also represent parents whose children, in many cases special needs students, were victims of child abuse at school or injured due to negligent supervision. Our clients include individuals seriously injured by law enforcement officers in police brutality and excessive force cases. Finally, we have a long standing and active practice for LGBT persons denied their equal rights. Attentive, Personal Service Combined With The Resources Necessary To Succeed We treat our clients with kindness, compassion, and respect. We provide each client attentive, personal service and regularly communicate with our clients throughout the litigation process. The Dolan Law Firm possesses the experience, skills, and resources to successfully litigate your case. Under Chris' leadership, Dolan Law Firm PC has recovered over $250 million for its clients and become one of California's premier plaintiffs' firms serving clients injured due to the fault of another or were discriminated against or treated unfairly in the workplace. Recognized as one of the top 25 plaintiff's lawyers in California, Chris spearheads many of the most significant and challenging lawsuits filed in California state and federal courts against insurance companies, Fortune 500 companies, cities, school districts, public agencies, and product manufacturers. Possessing a "history of winning multi-million judgments for his clients," as noted by the San Francisco Business Times, Chris has successfully tried over 45 cases and settled hundreds of lawsuits on favorable terms for his clients. Chris' unparalleled success in civil litigation includes the largest verdict - $61 million - ever in U.S. history for individuals subjected to racial and ethnic discrimination and harassment in violation of their civil rights. The case involved two Lebanese-Americans who after 9/11 were repeatedly taunted by their manager and coworkers as "terrorists," "sand niggers," and other slurs. Demonstrating Chris' passion for justice and commitment to his clients no matter the prejudice in society, Chris took the case after 10 other law firms, the NAACP, and ACLU all had rejected it. For his outstanding success in the case, California Lawyer magazine awarded Chris its prestigious California Lawyer of the Year Award. Chris supervises all cases litigated by Dolan Law Firm PC. He has obtained jury verdicts or settlements of more than $1 million in an additional 20 cases. Some of the settlements in these cases were in excess of $10 million but were confidential and cannot be listed. Chris has been recognized by numerous California and national publications as one of the foremost trial lawyers and skilled negotiators in California. The Daily Journal, the leading legal newspaper in California, selected Chris as one of the Top 100 Lawyers in California and one of California's Top 25 Plaintiffs' Lawyers. The readers of the SF Weekly have ranked Chris San Francisco's Best Injury Lawyer the past three years. Super Lawyers and Best Lawyers have ranked Chris as a premier personal injury and product liability attorney in Northern California. Chris has received a rating of AV Preeminent from Martindale Hubbell for very high ethical standards and professional excellence as evaluated by his peers in the legal community. In 2010, Chris served as President of the Consumer Attorneys of California ("CAOC"), the largest statewide association of trial lawyers in the U.S. In 2013, the CAOC honored Chris with an award for his "many years of dedication, outstanding efforts, and effectiveness" in advancing the rights of the injured and consumers in California. Today, Chris serves as President of the San Francisco Trial Lawyers Association ("SFTLA"). Both the CAOC and SFTLA have honored Chris with their trial lawyer of the year awards. Chris speaks at multiple California and national legal conferences each year educating lawyers on best practices in the courtroom and emerging trends in the law. 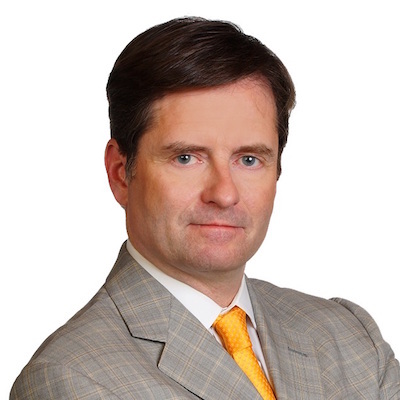 Chris is often called upon as a legal expert for national and local television and radio programs including CNN, Fox News, Dateline NBC, and NPR. He also writes a weekly column for the San Francisco Examiner in which he answers reader questions on new legislation and legal issues in the news. While obtaining the maximum financial recovery allowed under the law for his clients remains a constant focus of Chris' practice, he knows that justice means more than money. Working closely with his clients, Chris has forced cities and counties to fix dangerous streets and intersections and manufacturers to produce safer products. For over 20 years, Chris has worked tirelessly on behalf of his clients to stop discrimination embedded in workplace polices and practices that caused them deep emotional pain and prevented their career advancement. In 2016, The Advocate has selected Chris as one of the top 25 Attorneys Fighting For Trans Rights, helping transgender persons secure their equal rights.